If there’s one item that homes in Barrie, Cambridge, and Whitby depend on for comfort and safety, it’s the HVAC systems that they are equipped with. So whenever there are problems, you need a dependable and trustworthy HVAC service company that can provide the type of professional air conditioner repair and furnace repair that you’re looking for. In these areas, that company is Snap Air & Heating Repair. 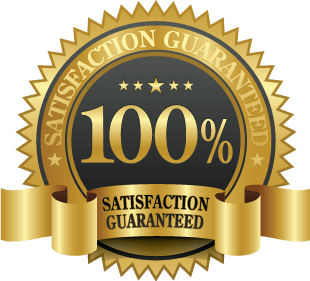 For years, we have been providing the highest quality HVAC repair services at the most affordable pricing. However, our services don’t stop there. In addition to cooling and heating systems, we repair gas fireplaces and water heaters. Plus, we also clean and repair ductwork. Keep in mind that we do installation and preventative maintenance as well and are available for emergency service calls whenever required. While the success of HVAC service providers is oftentimes measured by technician expertise and years in business, we feel that it’s our comprehensive line of services that separates us from our competitors. Your cooling and heating system are essential to having a comfortable and tolerable living environment. Nothing is worse than an air conditioning system breakdown in the summer or a furnace failure during the frigid winter. If you find yourself in need of a new HVAC system, Snap Air & Heating Repair is always available for installing it in your Barrie, Cambridge, or Whitby home. Having your new system installed by professional technicians ensures that it will be operating efficiently and save you money overall. Every installation technician is insured against accident and injury which means that you won’t be held liable if something should happen. Our technicians have been thoroughly trained in all aspects of HVAC system installation as well as maintenance and repair. Professional installers cannot afford to waste your time and will ensure that your new HVAC system is operating efficiently and properly before they consider the job finished and leave your home. We have the right equipment and tools to do the work which is something that most DIY’ers lack. You can be assured that the job will be done correctly and properly the first time. Most importantly, our technicians bring additional supplies that help them keep their work area clean whenever they are working in your home. Your home will be left in exactly the same condition as when they arrived there. One of the most expensive systems within any home is the HVAC system that it’s been equipped with. Unfortunately, the most common reason for frequent future repairs and premature replacement is a lack of proper care and preventative maintenance. Snap Air & Heating Repair offers customizable HVAC preventative maintenance plans that can easily be customized to suit the needs of any home, whether it’s located in Barrie, Cambridge, or Whitby. Would you risk driving your vehicle for 100,000 miles without ever getting an oil change or a tune-up? Then why would you operate your HVAC system without getting your cooling system tuned up in the spring and your heating system in fall? Over time, even normal wear and tear can take a toll on an HVAC system. That is why preventative maintenance is so important. It is the best way to ensure that your system will operate efficiently while extending its life expectancy in the process. It greatly reduces the frequency of future air conditioner repair and/or furnace repair as well as the costs associated with them. It increases operational efficiency by up to 20% or more and saves you money on your monthly utility bills. It will extend the life expectancy of your HVAC system which helps you avoid premature replacement and the costs associated with it. The last thing you need is your cooling system failing during the summer or a heating system breakdown in winter. Our preventative maintenance plans will help you avoid these issues, protect your investment, and save you money. WHY CHOOSE SNAP AIR & HEATING REPAIR ? We are dedicated to YOU, the customer and pride ourselves on providing a superior level of service while exceeding your expectations. We know we’re not the only HVAC service provider in Ontario. But we also know that no one treats their customers with the same level of courtesy, professionalism, and respect like we do. For more information about our comprehensive line of HVAC services in the three cities mentioned above, contact Snap Air & Heating Repair today.